The ‘Safe Zone’ Program was established in 2004 as the Faculty and Staff Ally Program. 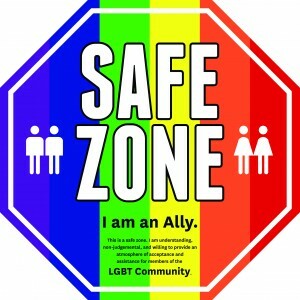 In 2013, it was renamed the ‘Safe Zone’ Program to signify inclusivity to all University community members. It is a university-wide ‘safe zone’ program for faculty, staff and students who identify as allies to the LGBT Community. Allies are people who work to end oppression in their private and professional lives through support of, and as an advocate for an oppressed population. Participants begin their participation by attending a mandatory orientation session and continue their involvement through monthly luncheon discussions. Participants will be able to identify and explain appropriate LGBT resources for students in need. Participants will be informed about a significant LGBT issue. Participants will identify at least two ways to improve their support to the LGBT community. If you are interested in participating, please email lgbt@usc.edu to ask about attending a training.